Thank you for your email. I am back home and somehow, I wish I was still in Myanmar, I had the best time there.Unfortunately, the boat ride on Inle Lake was not so good for my head, I got vertigo and felt unstable on my two legs. The people at the Paramount Inle Resort took great care of me, they were so friendly and forthcoming. I wish to say thank you to them as well. My guide in Nang Thein May (Joyce) went beyond her duty to help me feel ok after the boat ride back to the main land. She has been a wonderful companion and I felt at home when she was around. Our driver was incredibly attentive and kind, I want to let them know how much I appreciated their company and time spent together traveling slowly in their car.All my guides, from Thinzar Hlaine to Suu and of course all the people at the hotels I stayed, have been truly amazing to me, very friendly and absolutely nice in their unique way of welcoming me. Thank you to all of them. I will not forget how good I felt being around them.My last stay was at the Myanmar Life Hotel – organized for me by the insurance company which planned my trip back home after I felt sick. I have left an envelope – in room 114 – which was given to me by the very first guide who picked me up at the airport in Yangon upon my arrival on the 11.03.17. I wrote down all my comments about your company and my trip, I hope you got it. I should have given it to the receptionist but I was to groggy from medication to remember, sorry for that. I am aware that you cannot refund the hotel fares and I am absolutely ok with it. I am glad I could go home cause being sick during my stay wasn’t planned. I loved the Hotel Jade Marina in Ngapali, it was my highlight but unfortunately it was not meant to be, I have to go back there one day. The manager of the hotel was so nice to me, she helped wherever she could, I want to thank her as well. All the best to you and your company Myanmar Tours !. 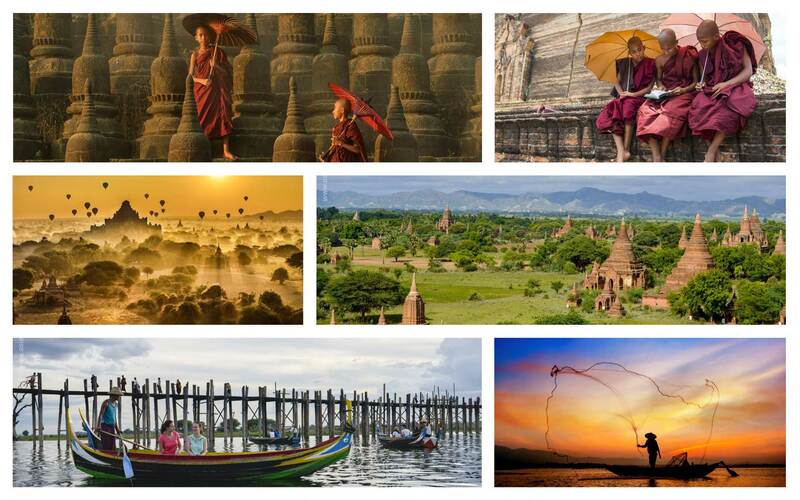 We book though Myanmar Tours. Mua Nguyen did a great job to meet our requests and reorganizing everything after flight cancellation. Thank you.We book though Myanmar Tours. Mua Nguyen did a great job to meet our requests and reorganizing everything after flight cancellation. Thank you.In Bagan we were guided for 3 days by John. We had a great interesting and pleasant time. John met all our special requests like getting to know people today’s life, visiting uncrowded places, introducing us to family (lacquer) companies with highest quality product at reasonable prices. John is a wonderful person, speaking perfectly English, known in his village and highly respected. We were very lucky having had John as our guide through his life, his history representing Myanmar and Bagan with the culture heritage. Back in Switzerland we thank you for the splendid vacations you have organized for us. Everything was perfect, except the balloon ride as you mentioned. Please refund the USD 600 on my credit card account.We really enjoyed the trip and are discussing to come back already next year. Yes, we had a fantastic trip to Myanmar and overall it was perfect J with the itinerary, the guides, the drivers, the hotels and of course because of the country Myanmar itself and also because of you and your company of courseJ About the guide in Mandalay: I am sure he will improve over the years as he is still very young and there is also a lot of potential. All the guides were very friendly and did their best. The guide in Bagan was excellent as well as the lady guide (I i) at Inle Lake. She was absolutly the best of all and impressed us very much. Mandalay Hill Hotel: the lobby, restaurant and bar are nice as well as the food was very good but the rooms need a fresh-up. I know that we even had a better room category than standard. Amara Ocean Resort: The Resort and the surounding of this hotel, especially the beach is absolutly fantastic, (you should take a beach front bungalow here, what we did). Second row of the bungalows seems to me a bit overpaid, as beach front has much more benefit, the view, own beach chairs in front of bungalow, direct access to beach etc). But what Amara really must improve is the quality of the food. They have an extrem wide range of dishes (European, Asian, International) but the style how the dishes were cooked seemed to us rather poor, not really tasty and extremly expenses in comparison to other great hotels we stayed in on our trip. They really should shorten the menue and improve the taste of the dishes a lot to a higher standard.